You may have noticed a new button on the right hand side bar 'Softies for Christchurch NZ'. 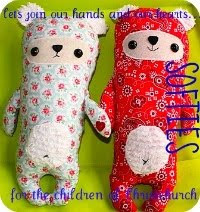 Leonie, from New Zealand, has been organising this softie drive to make softies for the children affected by the recent earthquake in Christchurch. So I've jumped on board and have made these little guys to send to the kids. 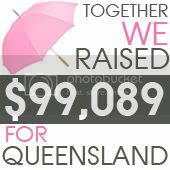 There is still time left if you want to join in and send a softie or two to Christchurch. Leonie hasn't yet set a close off date for this appeal but is thinking mid April would be a good time to have all the softies together and sent down to the children. My heart also goes out to all those affected by the latest tragedy in Japan and I find it hard to watch the news and see the extent of the devastation over there. 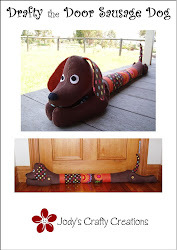 On a lighter note, I have been very busy sewing for my kids too. I haven't sewn clothes for them for ages - so I got out some material I'd had stashed away and made some pajama's, pants and then shortened a few pants into shorts for both of them. It was fun - and the kids had to wear them straight away - so were very happy with them! My daughter also attended her friend's birthday on the weekend and asked me to make a doll for her. 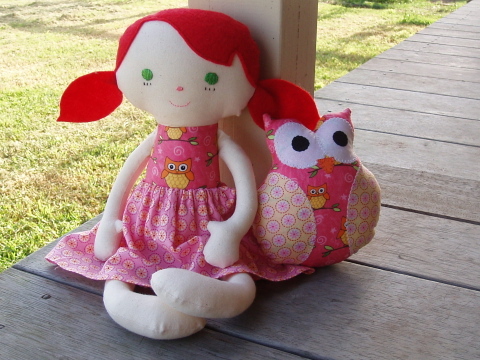 So I made 'Mae' by 'Bit of Whimsy Dolls'. for her too. 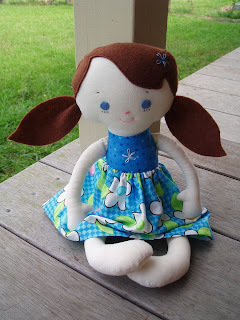 I do love this pattern as it is such a sweet doll and looks so different in different fabrics and colours. It's also a really nice, easy pattern to follow. I've also put my name down for the next Friday Night Sew In which is this Friday the 18th of March. So sign up and make yourself comfy and join in and get some of those unfinished projects completed. See you there! what a lovely thing to do Jody and i love "Mae" she is so cute. What absolutely beautiful softies Jody, some lucky little person will be thrilled with them.